In the event of a life-threatening emergency situation, we encourage pet guardians to go immediately to the closest 24-hour walk-in emergency hospital. During our normal business hours, we will always prioritize emergencies immediately for triage and assessment by our highly trained staff. 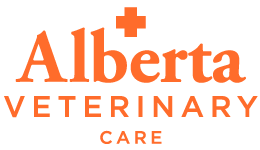 Please call us at 503-206-7700 to allow us to assess your pet's condition, prepare for your arrival, and provide prompt medical attention to your pet when you arrive. Ill patient, urgent care, and non-life-threatening emergency visits are by appointment only, so please contact our office at 503-206-7700 for availability or case by case referral. Remember to stay calm. Animals are sensitive to people’s emotions, so if you stay calm your pet will be calmer, too. Please bring your pet to us as soon as possible after a trauma, or call us at (503) 206-7700 if you have any questions regarding your pet’s condition. Remember that a pet in pain may even bite their owner, so be careful when handling a pet that is experiencing pain. If your pet is bleeding, apply firm, direct pressure over the bleeding area to control bleeding. Avoid bandages that cut off circulation. Be a good observer; know when your pet last ate, drank, urinated, or defecated. If seizures or fainting occur, note the time and the length of these episodes.